Items 232- out of displayed. 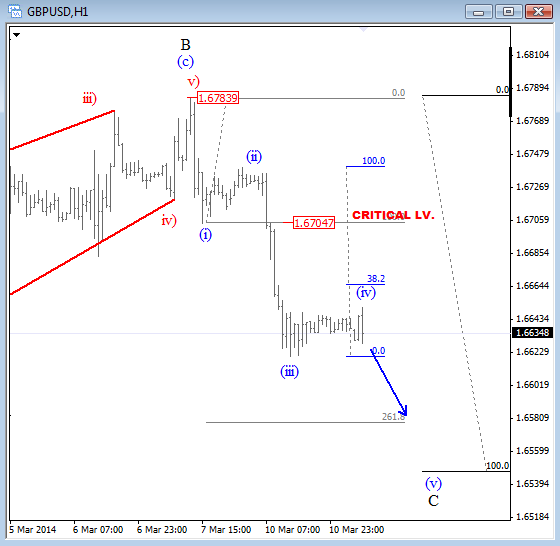 GBPUSD turned down yesterday, through the lower side of an upward channel that suggest now a completed wave B. As such price is now heading down in wave C final leg of corrective pattern that may look for a support around 1.6550 later this week. Keep in mind that larger trend is still up, and that retracement from 1.6822 is just temporary. On the intraday chart of cable we see slow price action above 1.6620 level after some strong sell-off yesterday through 1.6700 zone. 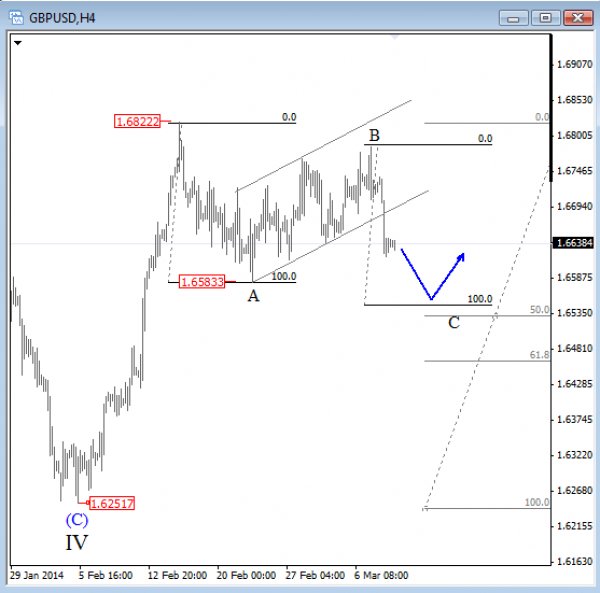 That move yesterday was most likely wave (iii) of an impulsive decline in progress, so we suspect that current pause represents wave (iv) so we can assume that GBPUSD has room for more weakness within current wave C.
USDCHF is recovering in five waves from the lows, so looks like price is at the start of a bigger minimum three waves rally. 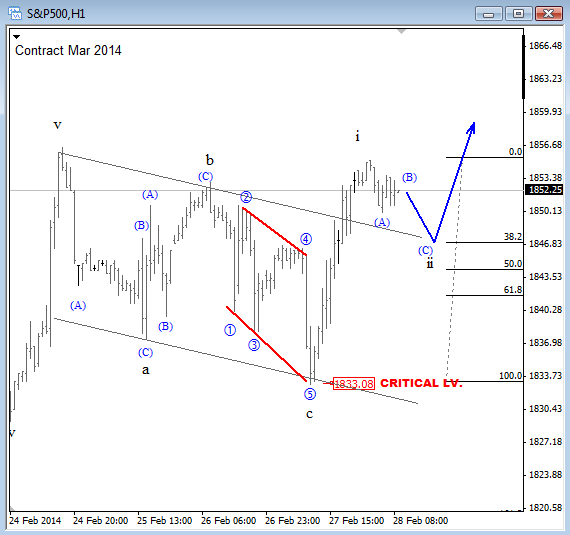 From a trading perspective, a three wave retracement back to 0.8830/50 area could be nice set-up for long opportunity. For more details make sure to check our video below. On the S&P futures market we see a nice clean bullish pattern on the intraday charts after only three wave retracement down to 1833 which was a contra trend move, now finished. In fact, a reversal from that low looks impulsive and already took out the upper side of a corrective channel so bias is bullish for move above 1860, ideally to 1870 in sessions ahead. A demand zone for this market is at 1840-1846. 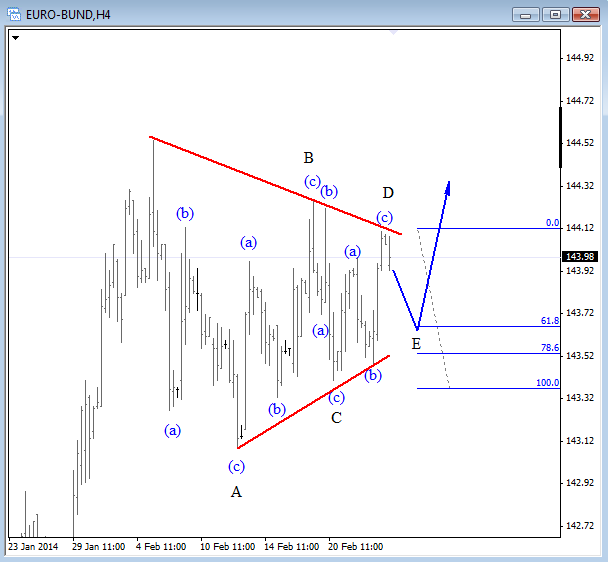 Today we will look at German Bunds and help with this market to figure out the next possible move for the EURUSD. On the 4h chart of German Bund (Mar 2014) I see a triangle in progress that suggests higher prices once the pattern is complete. Triangle is a continuation, a five wave pattern labeled with A-B-C-D-E subwaves, where each leg is made by three legs. So far this looks nice so we can assume that market will turn up after wave E pullback down to 143.40-143.80 ideal support area. The big question is how will this impact the EURUSD?! 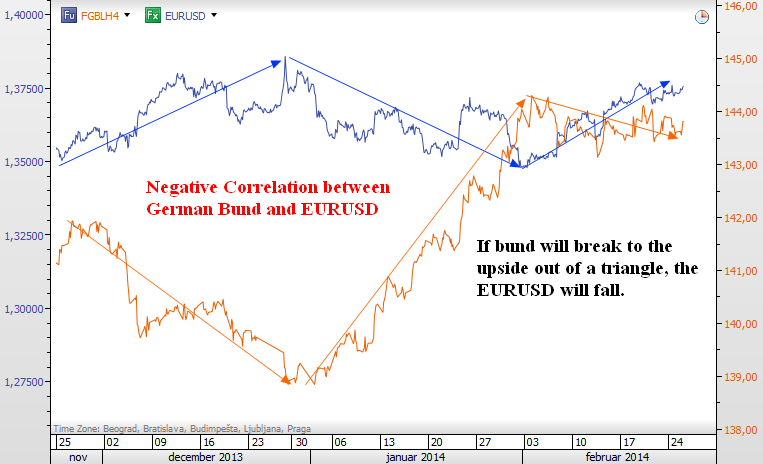 Well, on the overlay chart we see a negative correlation between EURUSD and BUNDS, so if BUNDS will continue higher, then EURUSD should find resistance and turn bearish. We see technical resistance on EURUSD coming in around 1.3800. Silver has turned bullish in February with nice impulsive personality. However, nothing moves in straight line; and the same is on silver as prices slowed down after touching $22.00. Notice that metal is trading sideways for the past week or so. A range-bound or a sideways move at the top of the trend usually represents only a corrective pause within ongoing trend. 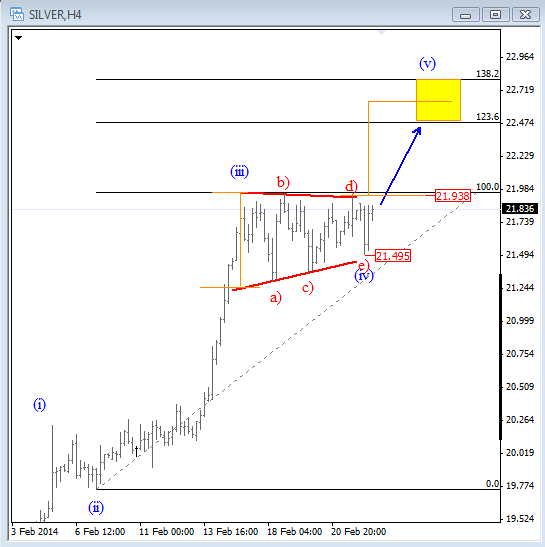 On silver we see a triangle placed in wave (iv) which is a continuation pattern. A break of $22 may open door for 22.50/22.70 area. The US stocks once again moved nicely to the upside, so I am already wondering if maybe we have seen a completed correction at 1732 on the S&P500 and if market is already heading up to new all-time highs again . At the same time we can also see that some commodities are following stocks, while the FX is surprisingly very slow and not responding much to other markets. 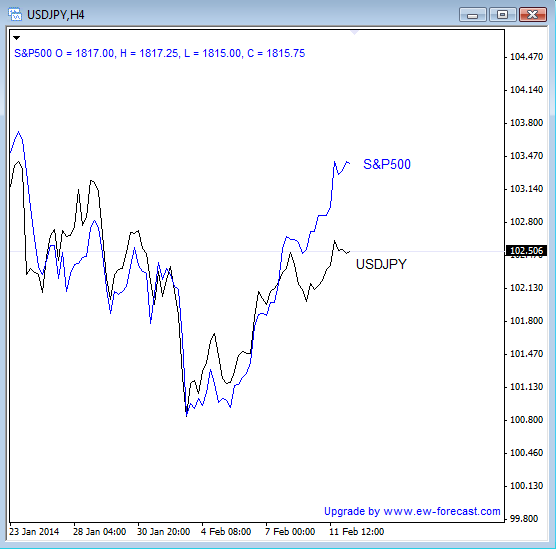 Even USDJPY is lagging for the last few 24-48 hours which is tracking the S&P500 quite nicely. 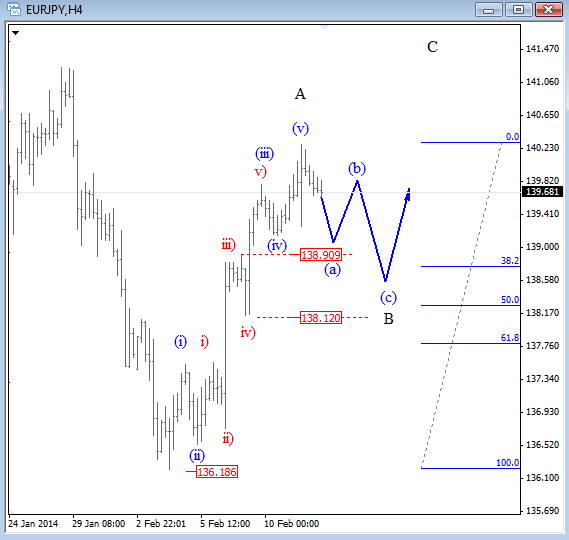 EURJPY is showing nice five waves from the lows, so maybe wave B retracement back to 138.10/90 area will offer some long entries. 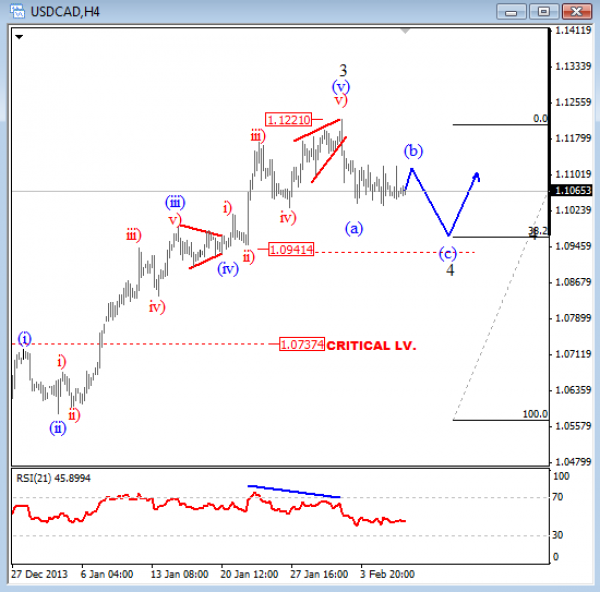 USDCAD has turned south last week from around 1.1220 where we see signs of a completed wave (v) of 3 with an ending diagonal formation at the end of extended move that typically confirms a bearish reversal. As such, we suspect that pair is now moving down in corrective black wave 4 that may reach 1.0940 area that comes in around 38.2% Fibonacci level near former wave (iv). Corrections are three wave patterns, so looks like pair will stay sideways or bearish for few more days. We see wave (b) now unfolding with wave (c) yet to come. 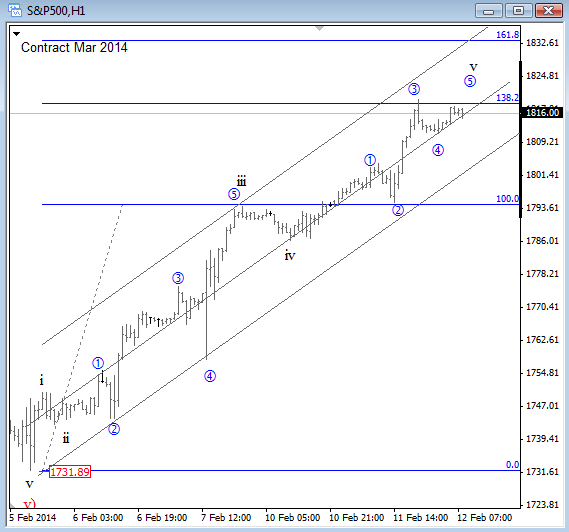 We would be interested in longs once wave 4 will show us evidences of a completed set-back.